This thing. Sigh. I was so excited when I started this quilt. I bought the Child’s Play pattern, two charm packs of the sweet Bluebird Park collection. And then about an hour in, I started to hate this quilt. I didn’t like how much fabric was wasted making the triangles (although the method of using charm squares is pretty ingenious). It was so frustrating how I couldn’t get the points to match up. grrr. I was just not ready for this quilt from a skill level. I HATED the teal background I had chosen. I started this quilt for a friend who was having a baby boy and then decided it was too girly for a baby boy, and that I didn’t like it. 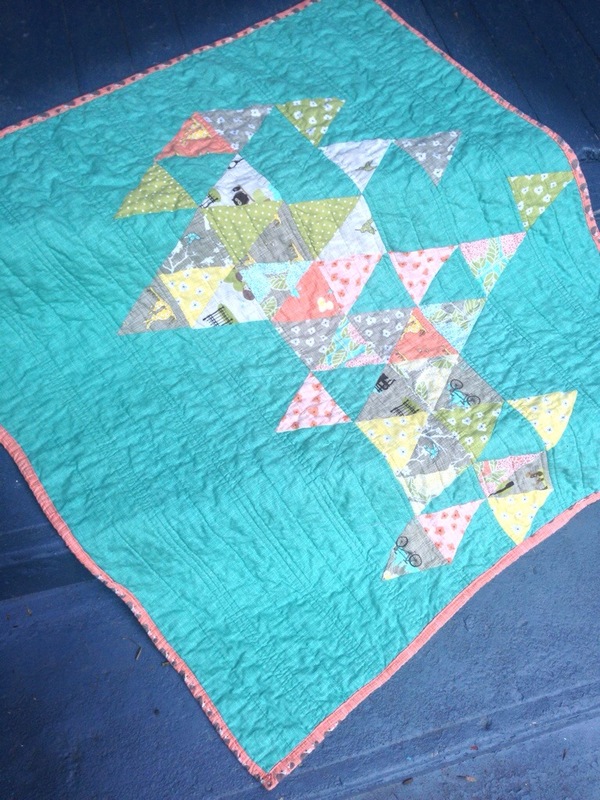 I powered through getting the top pieced and then I put it away and made her a different quilt. That was October of last year. Officially making this my oldest WIP. I really hated having it hanging around, mostly because if I could just buckle down, it would be a fast Project Linus finish, and as the months have moved along, I have fallen behind on my Project Linus goal. Sooo yesterday was the day. 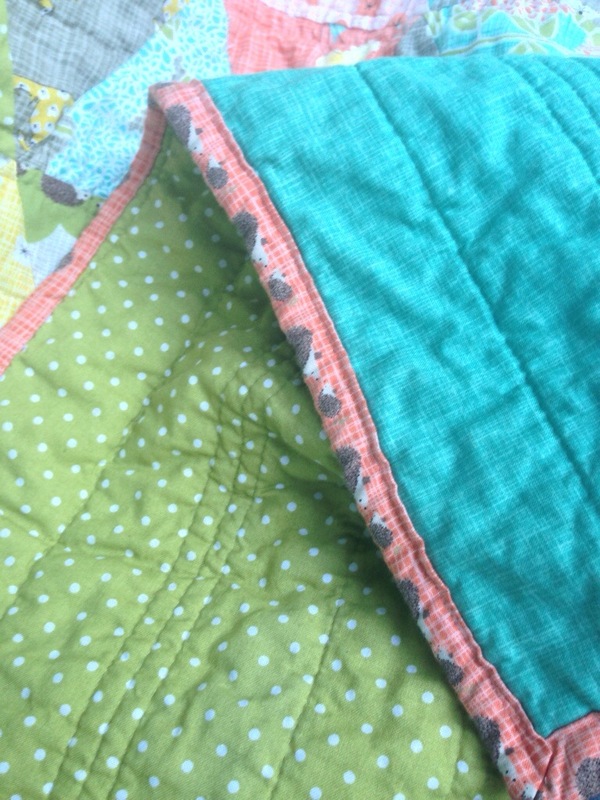 I basted, I quilted, I bound. And I am very happy to say I really like it after all. 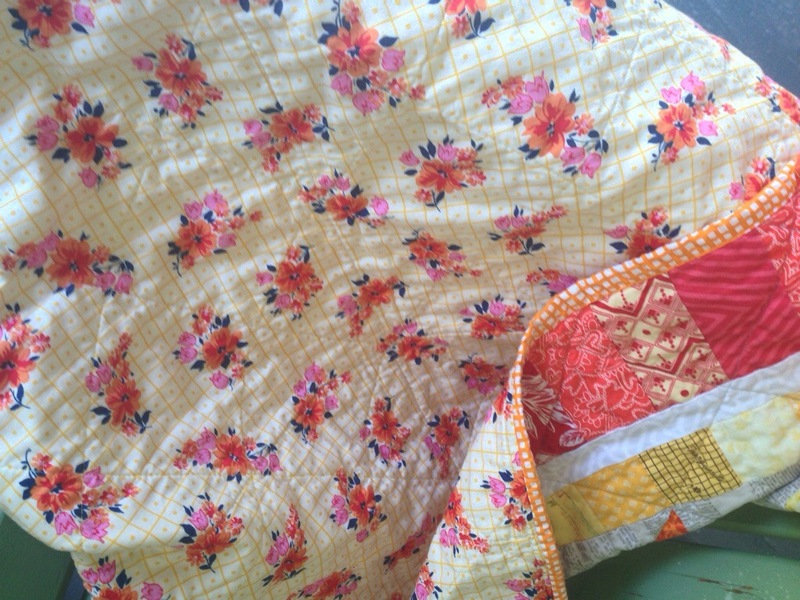 The straight line quilting has softened the mismatching points, the fabric line is just so sweet. I used some of the hedgehog print from the line as a binding (part of a color bundle-of-the-month thing) to use up stash – and it isn’t the best – but I have grown to like how the hedgehogs wander on and off the binding. 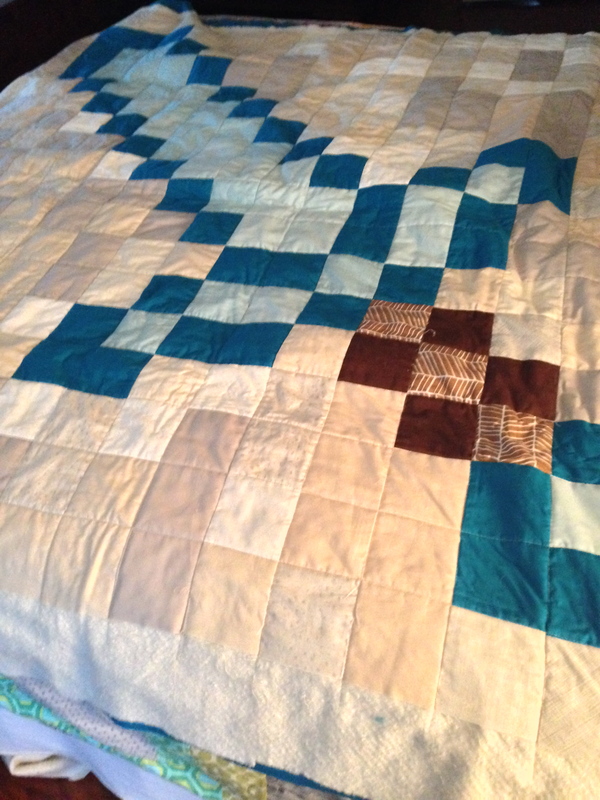 I am thrilled to have this quilt completed. Project Linus #6/12 finish for the year. 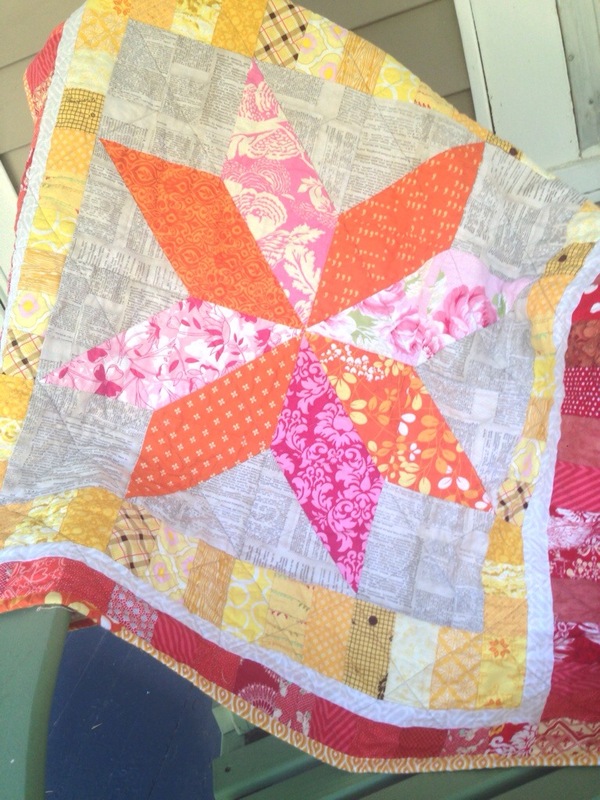 Warm Star Baby Quilt – A FINISH! Boy oh boy oh boy oh boy! I am so thrilled with the progress I have been making with getting some WIPs done. This is a completed quilt that began life during my orange-pink-red-yellow obsession. And then it sat for a bit. Over the past week, I added a yellow and red border – using up lots of scraps – and quilted and bound. 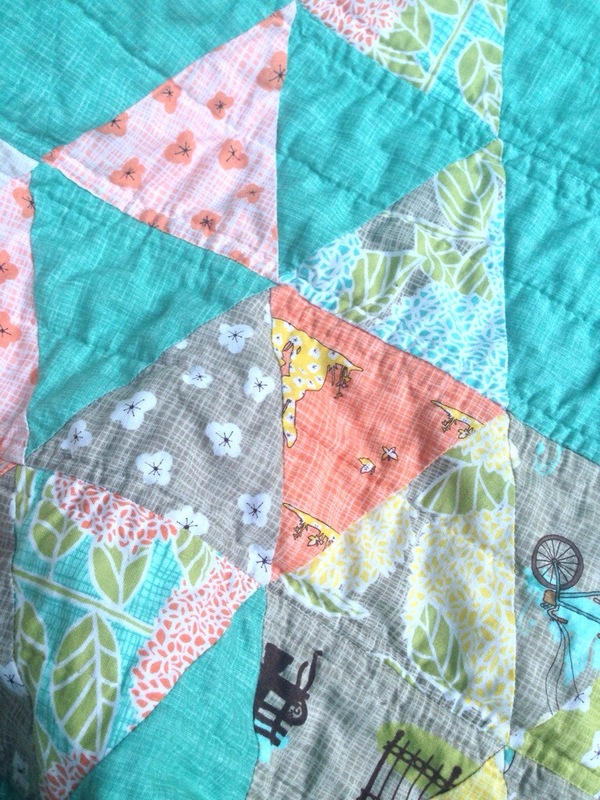 I did straight diagonal cross hatch for the quilting, bound in scrappy orange, and backed with one of my favoritest fabrics in the world – a DSQuilts print from Joann. Just LOVE this fabric. This is my 5th Project Linus quilt for the year. Woot! I am getting caught up. Uh, did I mention woot?